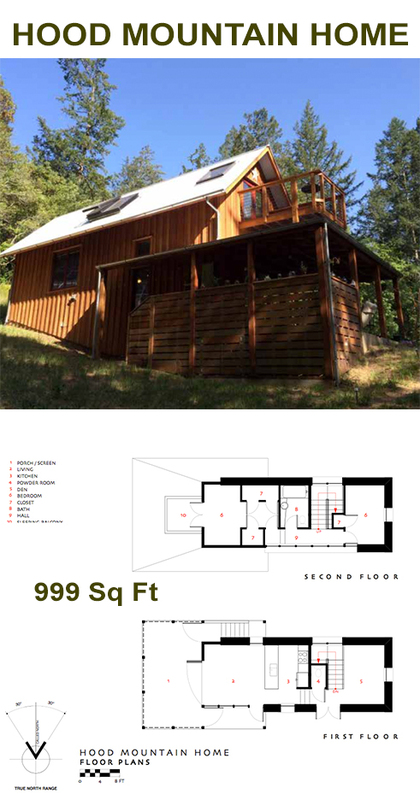 This 1002 sf, 2+ bedroom, 1+ bathroom house was originally built off-grid and adjacent to Hood Mountain Regional Park in Sonoma County, California. The house features a pair of french doors off of one of the bedrooms that allow the bed to be rolled out under the stars, or rolled inside under the protective cover of two large skylights. 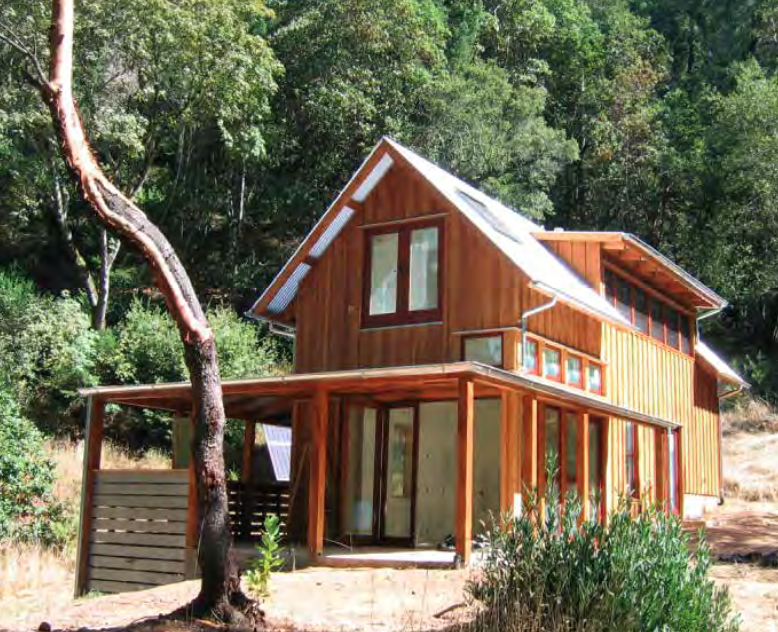 Unique from other straw bale homes, the Hood Mountain Home features wood siding. this not only provides excellent protection for the bales, but also allows the home to blend in with existing neighborhoods where plaster exteriors may not be present. This project sits well on a site that slopes gently from the east down to the west, but can be made to fit flatter sites as well. 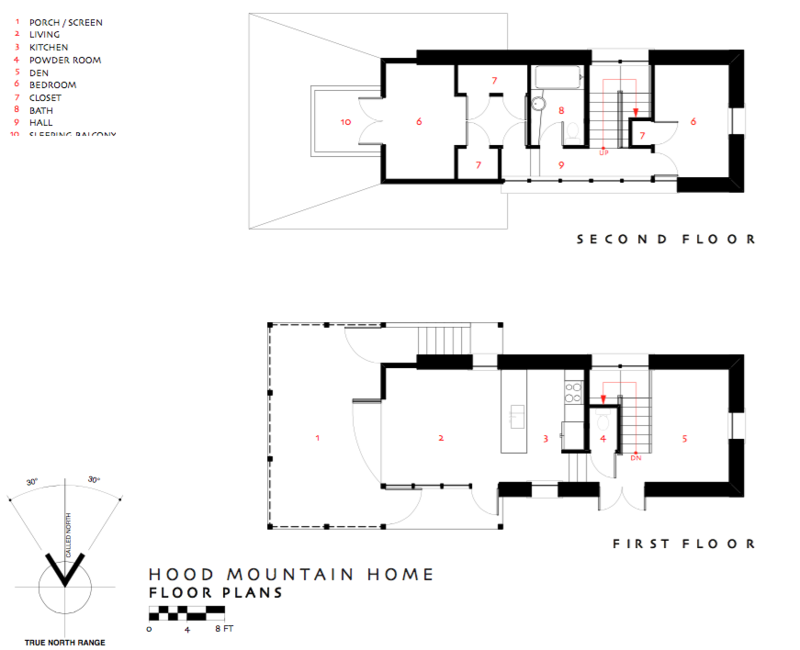 Plans are also available in a non-strawbale version.